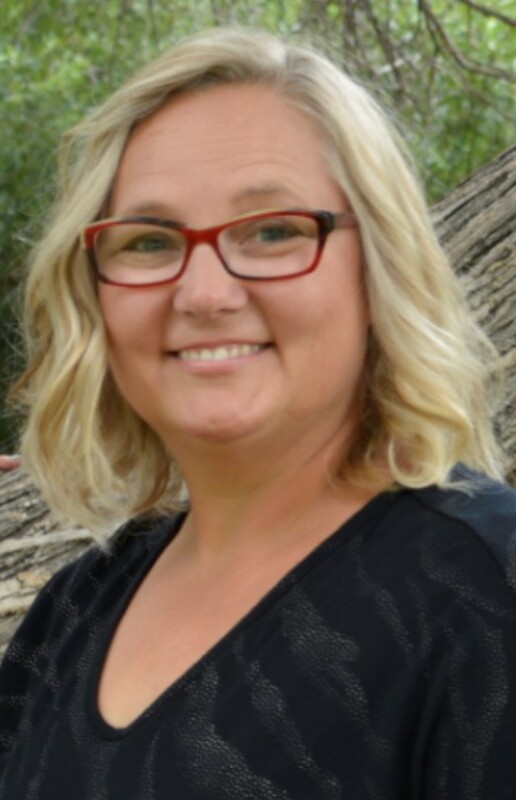 We are pleased to welcome Tammy Rowan as the new Coordinator of the Mountain Communities Family Resource Center (MCFRC). Tammy is replacing founder Anne Weber-Burnaugh, who retired after 20 years of selfless service to the mountain communities. We took the opportunity to interview Tammy to learn more a bit about her and all the great work that the MCFRC does. MCCOC: Hi Tammy! While you're not new to the Mountain Communities Family Resource Center, we're so excited to see you step into this role. Congratulations! Tell us about your new position. What does it entail? Tammy: There are a lot of technical aspects to the job. I will be overseeing grants, sustainability, building partnerships, supervising different programs, and making sure that all the different program specifications are met. I will also be managing staff, making and sustaining our partnerships,a nd making the day-to-day decisions that ensure everything runs smoothly. MCCOC: How did you get started in the non-profit/social outreach sector? Tammy: My whole working career has been in the helping profession. Even in high school, my ROP (Regional Occupational Program) was for certified nursing. Over the course of my career I have run my own daycare, worked in hospice, and even started my own residential care facility for the elderly. When I started in the MCFRC as an Americorps service member, though, it was my first official service job. When my term as an Americorps member ended, I moved into the case manager position, and on from there. MCCOC: What is your favorite thing about your work? Tammy: There are so many things I love. When a client comes in who is in crisis, I like that I am able to just listen to what they need to say. Just being there with them can help them process the steps they need to take to resolve the situation. I love being able to find solutions to problems. Wherever I worked, if I saw a problem, I always tried to present my bosses with the problem and a proposed solution. The MCFRC really has the flexibility to allow us to think out of the box and try to help people. I also get a lot of satisfaction out of being able to grow personally and to develop the friendships I have developed with our office staff. I'm a lifelong learner, so being able to progress with the MCFRC from Americorps service member, to case manager, then to program administrative assistant, and finally into the coordinator position is very satisfying. MCCOC: Who are your inspirations? Tammy: I have a strong faith background so my faith is the basis of my morals and values. If I am true to them, I feel I am on the right path. I always strive for kindness, tenderness, and unconditional love. On a more terrestrial level, Anne has been a great example and a mentor. I have really been able to look up to her when it comes to the operations and the ins and outs of daily management. Kim, the MCFRC's program administrative assistant, has been a huge inspiration to me as well. She has taught me a lot about persevering. She was a wonderful example of a person who always did the best possible job, year after year. MCCOC: What would you say is the biggest challenge facing our community from a social services perspective? For example: Do you see food insecurity as the biggest challenge? Or is it housing prices, job skills, lack of jobs, transportation, and so on? I believe there are many challenges you see. Tammy: All of the above, unfortunately. Transportation and lack of affordable housing are two of the biggest challenges we face. But we also have a jobs problem. We don't have a job resource center (a place which specifically helps people prepare themselves for interviews, write resumes, or network) but we are also a small community - there are only so many places of employment. MCCOC: What do you envision as the solution to this problems? How does MCFRC help address these issues? Tammy: In terms of jobs, we refer people to America's Job Center in Bakersfield. We also try to post all available jobs on our bulletin board, and we can help with resume building and interview skills building here in our office. At the moment, we provide bus tickets to people who need help getting to doctor's appointments. I would like to be able to provide bus tickets to people going to job interviews or trainings as well. I would like to look for a grant that could pay for bus tickets, or even better, for an employment resource specialist. As for housing, we do a lot to help people who have fallen behind on their rent or mortgage payments, but it always feels insufficient. Housing is such an issue and rent continues to climb. I would love to see more section eight housing in the community, since that would ease the burden on people. MCCOC: How can someone get involved with supporting the work of the MCFRC? Tammy: We are always happy to hear from community members. If you see a problem and you think you have a solution, come talk to us. I'm always open to having conversations and building partnerships with other groups working in the community. We also have fundraisers like the annual art auction through Artworks Communty Gallery in Pine Mountain Club, and we are always very appreciative of donations in both time and money. MCCOC: Where do you need the most support? Tammy: In our work we often see people who fall through the cracks. These are usually people who don't meet the income guidelines for the programs we can offer, but for whatever reason they have fallen behind on their bills. There could be a sudden illness, a fire, a family crisis, or a job loss. We are always grateful for church and community donations, and we use that money to help those people who would otherwise have nowhere to turn to. MCCOC: Many people in the Mountain Communities, especially new residents, may not know about the Family Resource Center. Where is the best place for them to go to learn more? Tammy: We do have a website: www.mcfrc.com, as well as a Facebook page, Mcfrc Frazier Mtn, where we hope residents will 'friend' us. The best way to find out what we do, however, is to make an appointment to come into the office and talk to an advocate. People can also call the office with any questions, requests, or suggestions. If there is a service that community members need that we don't provide, they are always free to contact us and suggest services. We want to make the MCFRC a household name. MCCOC: Thank you so much for your time today Tammy. We want to make the MCFRC a household name too! Your team is doing great work and we are proud to support you and share your message!